This is a wall hanging that is bright and cheerfull! Choose your brightest colors for the hearts. 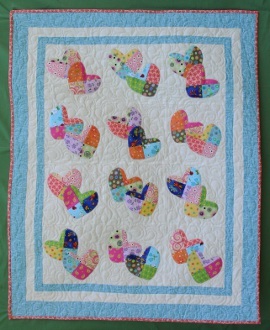 Hearts are fused and blanket stitched. Buttons can be added where the four fabrics of your heart meet. Finished size is 32 1/2" x 40 1/2".